Welcome to Dallas Auto Parts. 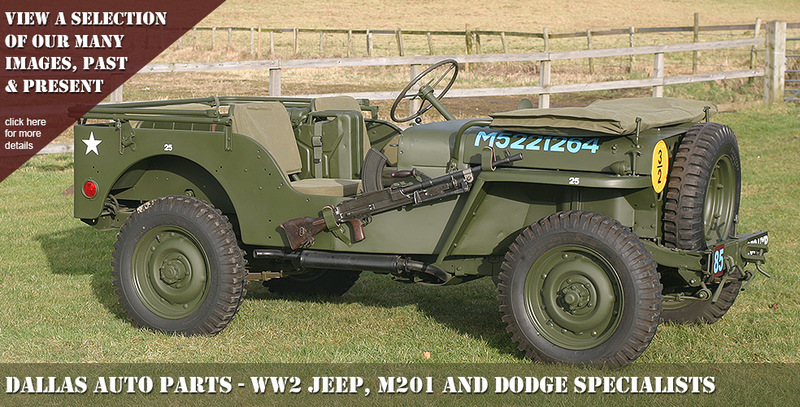 Over the last 30 years, our family run business has grown into the UK's principal supplier of WW2 Willys Jeep, Hotchkiss M201 and Dodge WC parts. 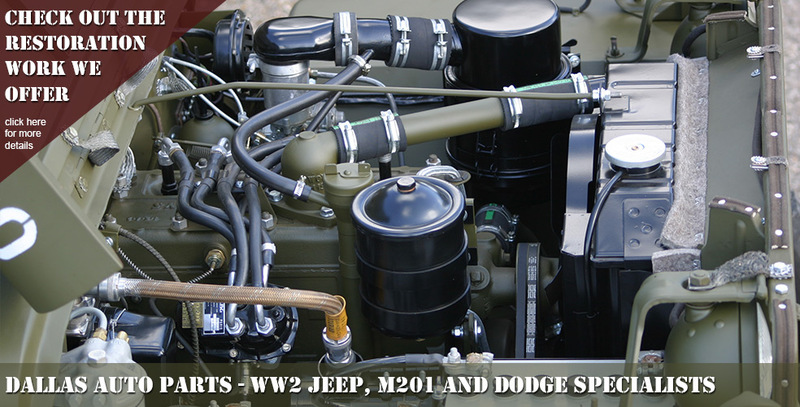 Stephen Rivers has always been a true enthusiast for Jeeps and Dodges, and began collecting and restoring over 30 years ago. 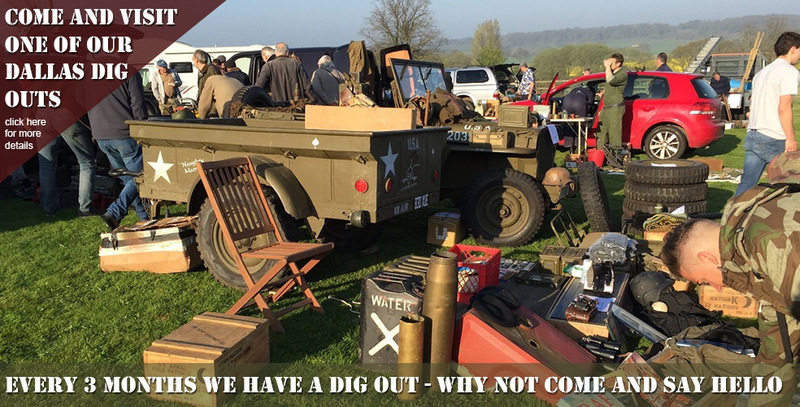 As a qualified mechanic he started carrying out serious restorations, buying and selling parts as well as vehicles when the military enthusiasts market began to grow. 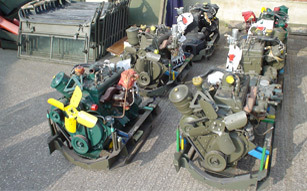 Supported by his wife Liz and son James, also a qualified motor engineer, the company prides itself in its commitment to quality and service. 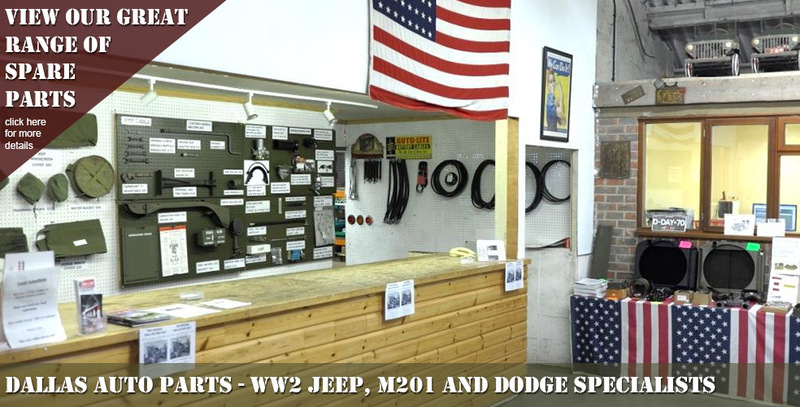 With an emerging market in reproduction parts of varying quality, as original US manufactured spare parts dried up, Dallas Auto Parts is careful to select and supply only those WW2 Jeep and Dodge spares that they feel good enough to use themselves - quality and reliabilty without compromise. 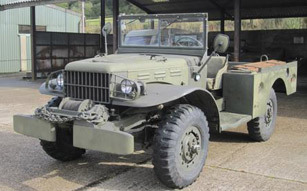 This has earned Dallas Auto Parts an enviable and unsurpassed reputation and it is true to say that many of the WW2 Jeeps and Dodges at shows today wouldn't be there if it wasn't for the Rivers family. 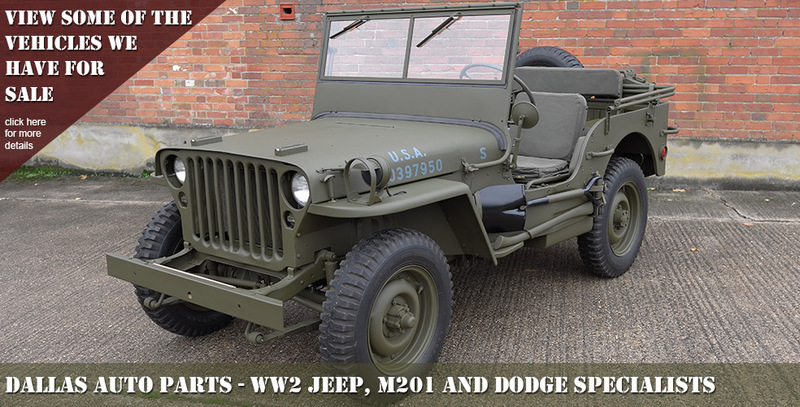 Here at Dallas Auto Parts we have a number of vehicles for sale, take a look at what we currently have on offer. 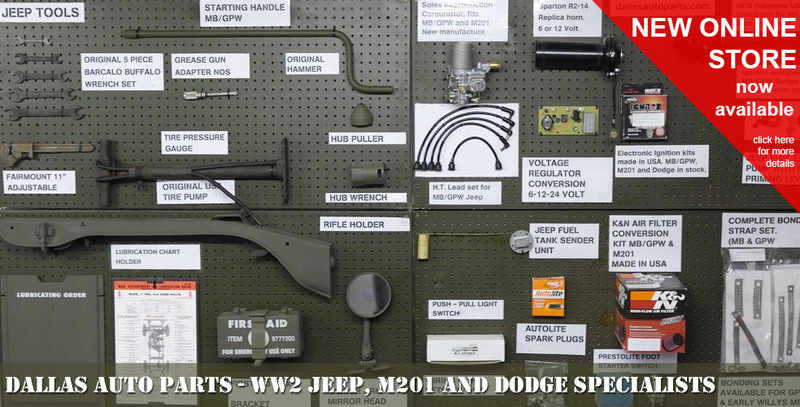 We have large stocks of quality replacement parts for WW2 Willys MB, Ford GPW and M201 Hotchkiss Jeeps and WW2 Dodge WC Series vehicles from replacement bodies to the smallest washer. 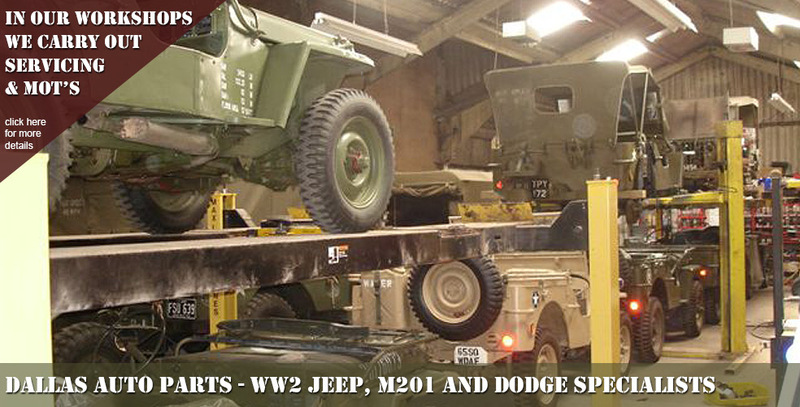 Dallas Auto Parts is committed to keeping collectors military vehicles on the road in good, reliable and safe condition. 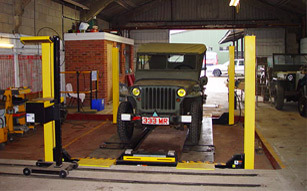 We offer full workshop services for customer’s vehicles.